A rational fraction in the lowest terms has a terminating decimal if and only if the integer has no prime factor other than and . This is the third part of the Mathematics and Multimedia Curve Sketching Series. 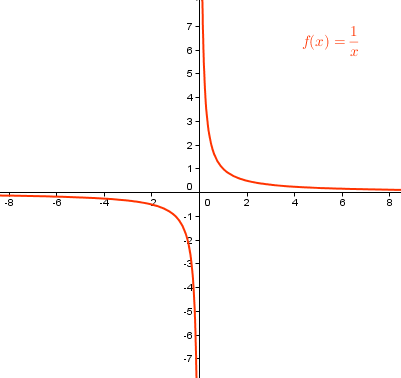 In the first part of this series, we have learned how to sketch linear functions, while in the second part, we have learned how to sketch quadratic functions. In this post and the next post, we will discuss about another important property of some functions that can be used in curve sketching. Scalar quantities are quantities specified by magnitude. Mass, area, density are examples of scalar quantities. There are quantities that have both magnitude and direction. For example, when we say 2 kilometers east, 2 kilometers is our magnitude and east is our direction. Quantities with both magnitude and direction are called vectors. In mathematics, vectors are usually represented by a directed line segment. The arrow of the directed segment is called its head, and the other end is called its foot. Two vectors are said to be equal if they have the same length and the same direction. 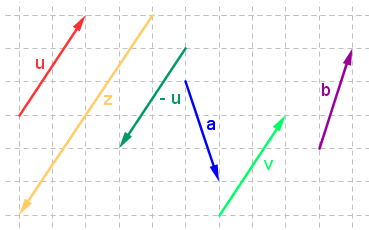 Plainly speaking, if we look at the geometric representation of vectors, equal vectors have the “same slope and the same direction (of the arrow).” In Figure 1, it is clear that there only two equal vectors – vector u and vector v.